It is important that you meet with your advisor on a regular basis. 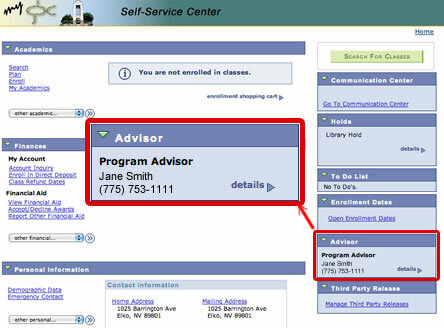 Your advisor will assist you with class selection to streamline your academic process. It's a good idea to contact your advisor before the enrollment period begins. Faculty return to campus before the beginning of fall instruction to be available to you.